Scraps Clover trash pickup services consist of three separate services. Bulk Trash Removal: We are happy to remove those large, bulky items from your property. Just like your trash, you are not required to put these items on the curb, but they must be removed from the house. Residential Trash Removal: Scraps will take care of your trash pickup needs. We try to do that in as convenient a way for you as possible. HOA Trash Removal: Scraps provides trash removal/collection service for neighborhoods with Home Owners Associations in Clover all of York County, SC. Scraps Trash Removal is more than just a Clover trash pickup company- we are a community partner and an advocate for those with disabilities. We want to do more than just provide a great Clover trash pickup service, we want to give back to the community and our neighbors. We felt that a great way to do that would be with who we hire; Scraps trash removalis proud to be working with more than one organization on recruiting and hiring those with disabilities that can make it challenging to find work in today's economy. Are you looking for trash pickup Clover, SC? A quality trash pickup service near the zip code 29710 isn't too easy to find! Clover is a town in York County, South Carolina with many different locations. 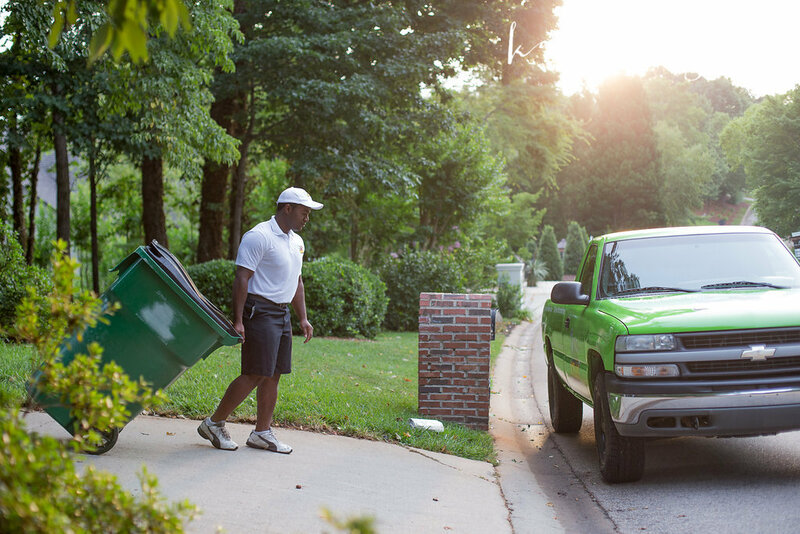 Scraps provides a service for trash pickup in Clover like no other. Trash removal companies don't offer the commodities that Scraps trash removal services in Clover, SC provide! Scraps offers Clover SC residents an exclusive free service of us picking up your trash in the most convenient area for you! You'll never have to walk that heavy can to your curb again! Other trash removal companies in Clover SC have loud garbage service trucks that will give you an annoying wake up call. Scraps uses a much more quiet truck and trailer, that is also much more eco-friendly! Are you new to the Clover Area? Clover, South Carolina is a great area, with great people, so welcome to the neighborhood! If your curious where our Clover trash pickup service is, you may now Clover as the town twinned with the Northern Irish town of Larne on County Antrim's East Coast. Does Clover provide a recycling service? Yes the town of Clover provides curbside recycling, although you will have to share costs for a recycling truck and driver. Your in luck! Scraps trash removal will take all your separated recyclables for you, no need to pay for another service just for recycling. The town does not provide a valet trash pickup in Clover South Carolina like scraps does. Only scraps will come to your most convenient spot to pickup your trash, and drive it a way it much more quiet truck and trailer. What is our process for residential trash removal in Clover, South Carolina? We offer multiple plans for residents in need of trash removal in Clover, South Carolina. This way you or your community can save money on your trash removal service in Clover, while working with your needs and budget. Scraps even lets you provide your own trash can, instead of buying something you don't want or need. Plan 1 is weekly trash pickup of a 96 gallon trash can that you must either provide, or you may purchase from Scraps at a highly discounted price. Plan 2 is weekly trash pickup of a 65 gallon can that you must provide - perfect for a two person household. Plan 3 is weekly pickup of one 45 gallon trash can that you must provide. This plan is perfect for the single resident.